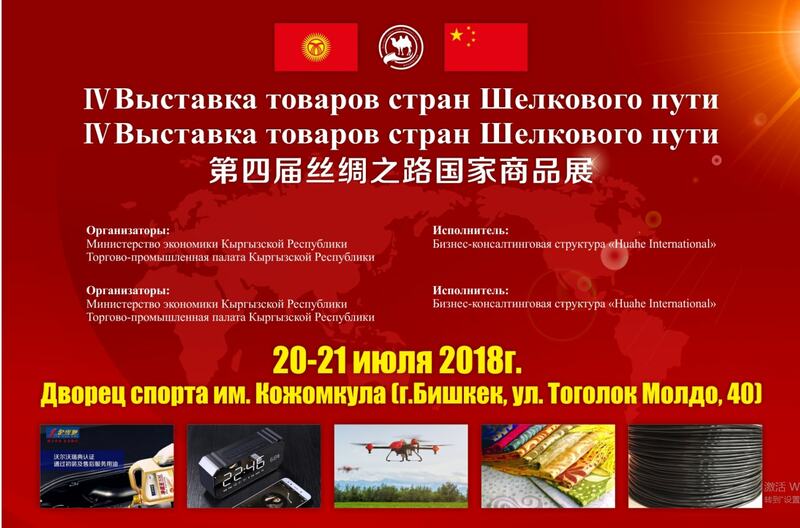 The Fourth Exhibition of Silk Road Products: Together with the Chamber of Commerce and Industry of the Kyrgyz Republic, the Business Consulting Organization of Huaha International starts its work on the Fourth Silk Road Exhibition. This exhibition is an important platform for the development of trade relations, cultural exchange between Kyrgyzstan and China. We invite your company to visit this exhibition and find potential partners from China. Participate themselves manufacturers of goods and products from the Chinese factories themselves. We are waiting for you at the Fourth Silk Road Exhibition of the countries of the Silk Road 2018!